Here it was raining, but not the tropical rain we were used to, this was English style rain, cold, wet, and damp. Oh, and horrible. Our extremely drab hostel accommodation that had no heating, and beds with sheets that also felt damp, didn’t ease any of this cold, horrible feeling. But worse was to come, because here in the rickety old bunk beds was where I managed to delete six weeks worth of my photos. Six weeks worth!! I’ll never forget that feeling. The horrible realisation that yes, I had just wiped off hundreds (quite possibly thousands) of photos from the memory card in my tablet. I spent the night in tears in those horrible, cold, damp bunk beds (although that being the least of my worries), but also did nothing to help the situation. Despite this major upset, I did have a good time in the Cameron Highlands. There are several jungle trails of varying difficulties, and after having a look decided on trails 5,3 then 2, all as one trek. After reading several reviews on TripAdvisor, without hesitation we decided against Trail 9 due to several robberies along this track over the past couple of years, seemingly by the same guy. Some people had written how there were a few of them walking together so they had decided to risk it, but all received the same outcome. So off we set early in the morning for our jungle adventure. Had I not been with Laura I doubt very much I’d have done this on my own, there was nobody else on the trail for ages, just us and the thick Malaysian jungle around us, although there was a clear path. We were on our own for a good while until we reached a clearing and bumped into a group of school children at a lunch spot. We chatted with the teachers a while and then went on our way. Ok so I may have failed on that part Laura, sorry! As we clambered up a wall of tree roots, and then precariously down the other side in extremely humid, sweaty conditions, we’d then be faced with another near vertical wall of tree roots to hoist ourselves up onto, our boots sliding underfoot, as the only thing to step on was either wet tree roots or thick slimy mud! One of my favourite pictures, showing just how steep it was, with Jungle Jane at the top, showing us how it’s done! There was lots of slipping and sliding going on, and then after reaching the top of the ‘wall of roots’ it was then yet again down the other side. I was in my element, it was a proper adventure. Laura, however, did not feel the same! ‘I’m really not enjoying this’ were her words as we clambered up and down, our foreheads pouring with sweat! Turning back was not an option by this point, so we had to go on…. I turned around to look behind me, and saw Laura standing there with her arm outstretched, she was jiggling about in a terrified manner. Yes, Laura had been leeched! We’d heard about them, seen a fat one in the shower in Thailand, heard horrible stories about people coming out of the jungle with their backs covered in them, but this was both our first encounter with the disgusting creature actually attached to one of us! Not really knowing what to do, I grabbed a piece of ‘wood’, and started bashing the leech, which was attached to Laura’s arm, with the wood. Bearing in mind this is a wet and humid jungle, and the wood was no more than a soggy bit of bark, breaking into mush as I whacked it over her arm! With Laura still screaming ‘get it off, get it off’ I grabbed another bit, and eventually I managed to beat it off! Laura was most grateful and we continued on our way. The last hour and a half was the hardest, and we were sodden with sweat in the intense humidity, but we emerged from the jungle after four and a half hours, feeling quite pleased with oursleves, covered with sweat and jungle mud, and having accomplished a pretty tough trail. Laura was pleased she had done it in the end, (and had secretly enjoyed it I think), despite the jungle conditions we endured! I did (post incident, mind) Google what you are actually supposed to do when a leech attaches itself to you. Number one thing NOT to do is to try and beat it off by hitting it incessantly apparently! Although this worked for us, the leech can apparently, when in distress (hang on, who’s the distressed one here?!) regurgitate some awful liquid back into your arm, potentially causing a nasty infection. The best thing is to either twist it off quickly, or use a fingernail or credit card to swipe under it quickly, forcing it to release whatever it uses to grab on to you and believe me, these guys don’t want to let go! Previous PostGeorgetown on the island of Penang, Malaysia. Funky street art, a big hill, and a funny bike! 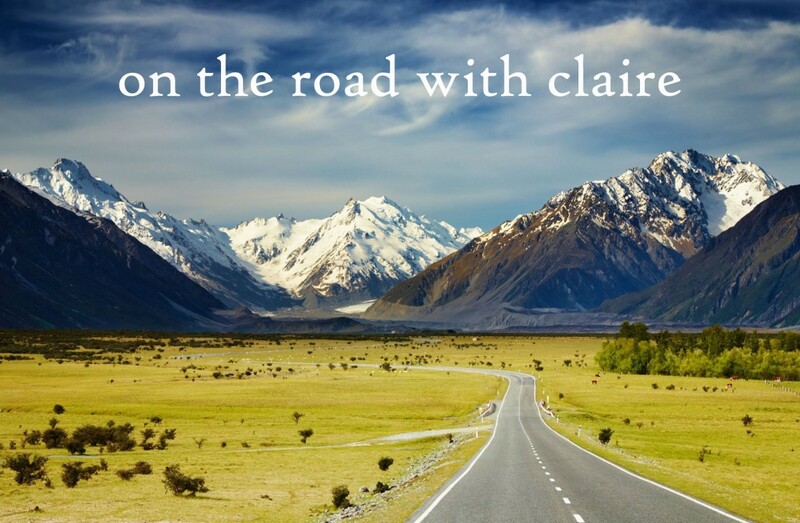 Lovely to hear about your travels again, Claire. Coincidentally, I heard all about leeches in a programme on Radio 4 a couple of days ago, which completely grossed me out! Ewww they really are horrible things! I do like a nice blog around midnight. Excellent. Claire. So nice to see you are traveliing again. Hope you continue to have a good time, without leeches though!! My mission is to complete the blog of my round the world travels, before I embark on a month in Myanmar next year! I wish I was ha ha! Afraid I’m just catching up on the old blog, that I haven’t completed yet, time and work unfortunately ran away with me, I really must complete it – I have so many photos to go on! You finally got round to it then!! Great to see although the leech experience would put me off altogether!!!! Hello, I just fined out your blog because I had interest of Michel Desmarquet who you met Vietnam 2years ago. Then after check your blog, I fined out you are CAMERON HIGHLANDS. I am so surprised because I am staying KL Malaysia. Do you have plan to come to KL from now? If you plan to come, I want to have tea and chit chat. want to know your travel experience too. I am Japanese 45years men married with Malaysian lady 5years ago. Now I am doing Professional athlete in Malaysia. Sorry looks like my message was somewhere gone. Hello, I am Yoshi from KL. When I looking for Mr Michel Desmarquet, I fined out your Blog. Then after that I surprised because you are in Malaysia last week. Do you have plan to come to KL or already passed it? If you come to KL, want to have tee and some chit chat, I want to listen your travel story and experience if you can. I am Japanese married Malaysian lady 5years ago. Doing professional athlete in Malaysia.